Here's the farm's first tractor. 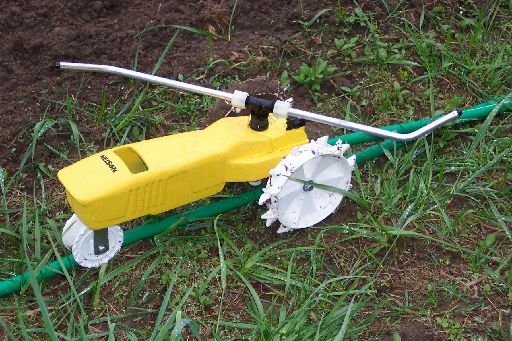 It's about 18 inches long, and it dutifully follows the garden hose up to a special bumper, happily sprinkling along the way. It was a gift from the cast of a community theater play I recently directed, and it will be a huge time saver.